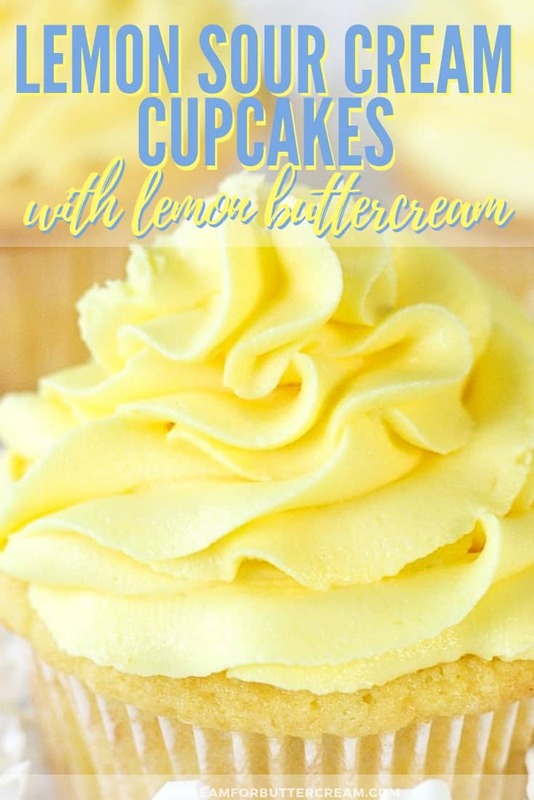 These lemon sour cream cupcakes are super moist and delicious plus they’re actually made from scratch, then topped off with lemon buttercream frosting. They’re perfect for birthdays or any celebration. This year my son turned twenty. What!? I feel old and like time is moving way too fast. Ok, back to the point…I’d been working on some cool birthday cupcake toppers for him that I had planned to put on top of chocolate cupcakes (since forever that’s what he’s asked for.) Out of the blue, he texted that all he really wanted for his birthday was some lemon cake. Actually he said, and I quote here, “Mom, I don’t need any money for my birthday. 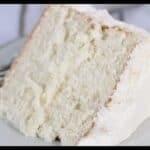 All I want is a bad to the bone lemon cake.” Seriously, that’s what he said. So of course I immediately changed gears because well, I’m still in the throws of the empty-nest syndrome (even though technically I’ve got step-kids.) Anyway, my only son says he wants lemon cake for his birthday, then that’s what he’ll get. I did, however come to a compromise. I mentioned I had been working on some cupcake toppers especially for his birthday and that he’d have to be happy with lemon cupcakes instead of a large cake. He certainly didn’t seem to mind. I had only a few days to write up and test the recipe before his birthday was here and so I decided to use my Favorite Vanilla Bean Cake recipe as a base and change it up to give it a blast of lemon flavor. 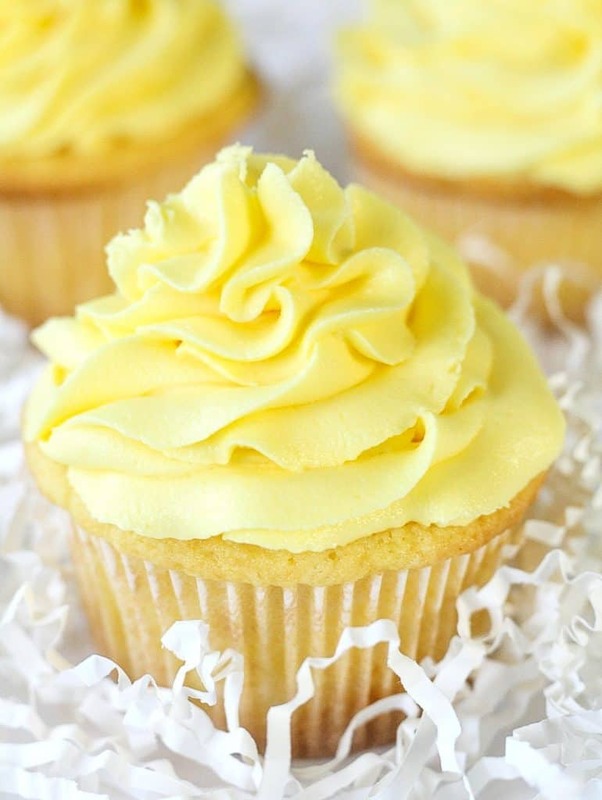 Remember, he said he wanted a ‘bad to the bone’ lemon cake, so I tried to pack as much lemon flavor into those cupcakes as I could. Let me tell you I was actually surprised at how much I liked them. I’ve never been much of a lemon cake fan, but I ended up eating four when I was finished. FOUR! Not even kidding. These cupcakes aren’t complicated to make. 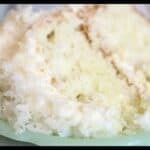 When you make the favorite vanilla bean cake, you use the reverse creaming method, which is when you’ll mix the butter with the flour first to coat it. For these cupcakes though, you’ll use the regular creaming method, which just means you’ll mix the sugar into the butter first. You’re probably used to seeing more recipes that use the regular creaming method. For this recipe, you’ll need real lemons and you’ll need to zest the lemons. Make sure to not grate them too far down (like into the white of the lemon), or it’ll be bitter. You’ll also add in a package of lemon pudding. Yep, I told you I was really going crazy with the lemon flavor. Make sure to reserve one tablespoon of the dry pudding mixture, because you’ll want to add that to your buttercream. 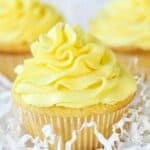 These lemon sour cream cupcakes have a soft consistency that’s moist, with just the right amount of lemon taste, then topped with buttercream that’s packed full of lemon flavor. Use cake flour if you can get it…you’ll get a softer cake. 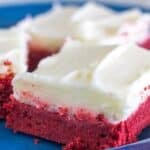 If not, you can make a substitute: For every cup of cake flour called for in the recipe, use one cup of all purpose flour instead and remove two tablespoons of it, then replace that with two tablespoons of cornstarch. Make sure to use real butter…not margarine. When zesting your lemons, don’t get too crazy and zest the white part of the lemon…that part is bitter. Ok, ready for the recipe? Here ya go. Oh and don’t forget to scroll toward the bottom of the post if you’d like to see the video. In a mixing bowl, whisk together the cake flour, baking powder, baking soda and salt. Set aside. In another mixing bowl, whisk together the sour cream, milk, oil and lemon zest. Set aside. In your mixing bowl, beat the butter until smooth. Add sugar and beat until fluffy. Add in eggs one at a time, beating just until combined after each. Add a third of the flour mixture and beat until just combined. Add half the liquid mixture and beat just until combined. Add another third of the flour mixture, mix until combined. Add in the last half of the liquid mixture, beat, then add in the last third of the flour mixture and beat only until combined. Now add in the package of dry lemon pudding mix and mix. Don’t forget to reserve one tablespoon for the buttercream. You can also add in a couple drops of yellow food coloring. 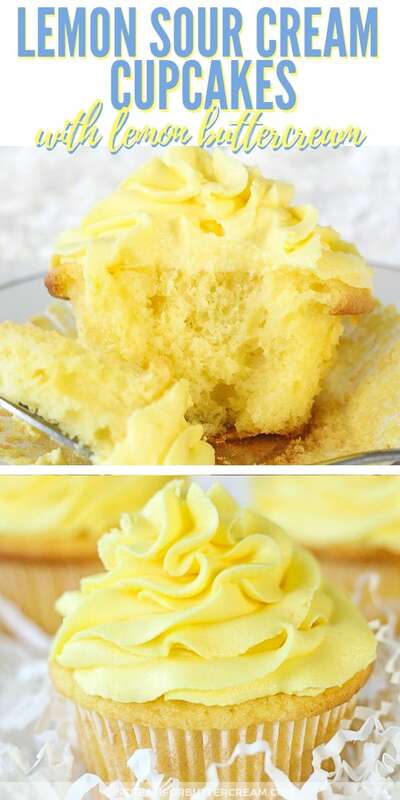 Fill cupcake liners slightly over half way up and bake at 350 degrees for about 20 minutes. Once baked, cool on a wire rack. Add two cups of butter (4 sticks) to a mixing bowl and beat until smooth. Add three cups of confectioners sugar and beat. Add in the lemon juice and the last three cups of confectioners sugar and beat again until mixed well. Now add in the lemon zest and one tablespoon of the lemon pudding mix and mix well. You can also add in a bit of yellow food coloring. 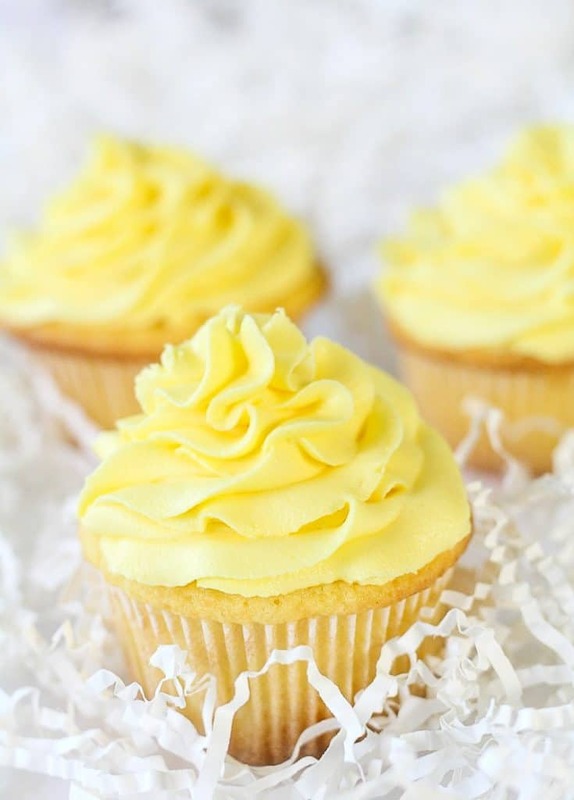 If your buttercream is too thin, mix in another cup of confectioners sugar. If it’s too thick, just add in a little more lemon juice. 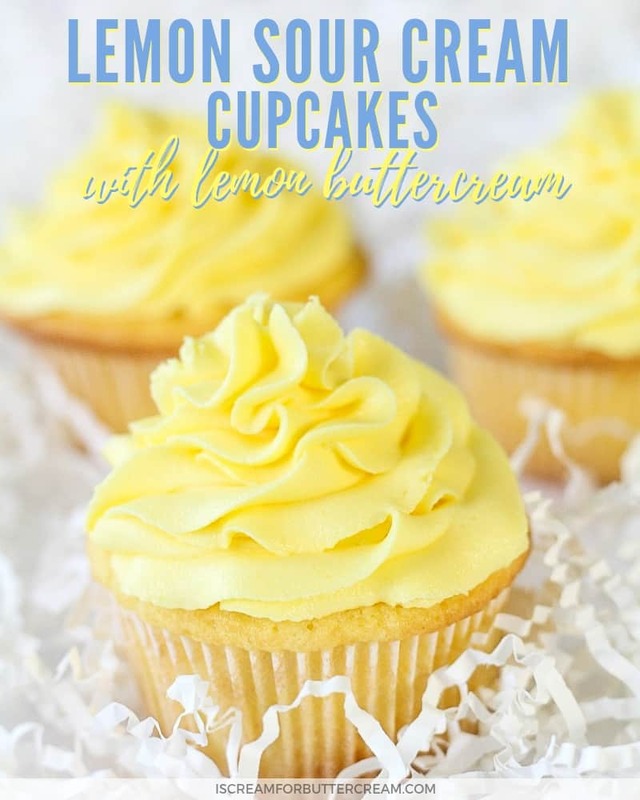 GET THE FREE DESIGNED PRINTABLE RECIPE CARD FOR THE LEMON SOUR CREAM CUPCAKES PLUS THE PASSWORD TO THE RESOURCE LIBRARY. Just fill out the form below! En mi pais no consigo pudin de limón, con que lo puedo sustituir? 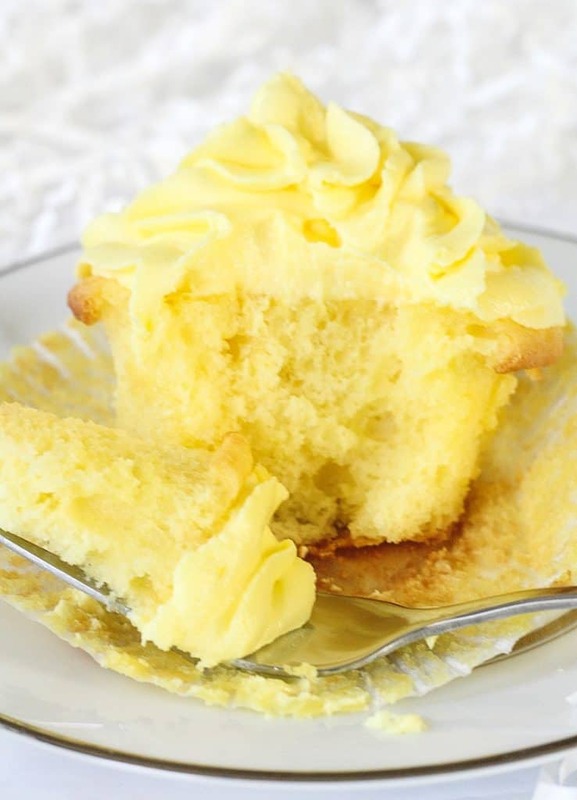 If you don’t have lemon pudding available for the cupcakes, try adding in another teaspoon of lemon zest to the batter. That should give the lemon flavor a little more boost. Hope this helps! Which tip did you use? 1M? For the lemon pudding is it instant pudding or the cooked type pudding? Thanks! 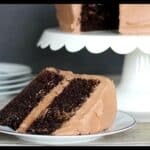 Can you use this recipe to make a cake? Hi, I haven’t made it into cake, only cupcakes so far, but there isn’t any reason why it wouldn’t work as a cake. Just bake it at 350 degrees and start checking it at about 30 minutes or so. The outside should lightly brown, the top will bounce back when lightly touched and a toothpick inserted will come out with just a few crumbs on it. The batter should be enough to fill 2, 8″ round pans or 3, 6″ round pans.